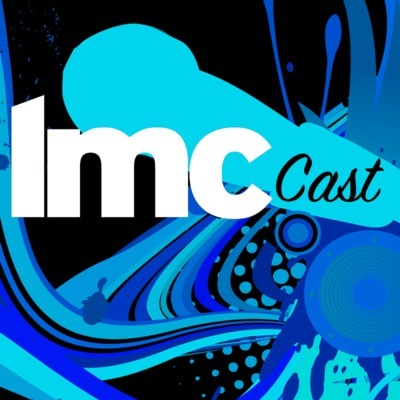 Welcome to the LMCTV Media Center's first podcast, "LMC Cast." Hosted by Executive Director Matt Sullivan with staff members, Rob Moretti, Sibylla Chiapziwa, Sharon Mosley, Dena Schumacher, Christina Carino- Forrest and Stephen Aluisa. Find out what is happening at LMCTV, as well as the Larchmont Mamaroneck Community and what's new in media! April 2019 "Staff Hopes for the Future"
Staff members talk about their hope for the future at Larchmont Mamaroneck Community Media Center. The LMCTV Cast also provides the latest updates on Varsity Sports, The Local Live News, Programing at LMCTV. and updates of local activities in the Larchmont Mamaroneck Community. With "fake news" and egomania swirling around us, news that matters and gaining media literacy are the topics The LMC Cast tackles in this episode. The LMCTV Cast also provides the latest updates on Varsity Sports, The Local Live News, Programing at LMCTV. and updates of local activities in the Larchmont Mamaroneck Community. January 19, 2019 "New Year Resolutions"
Who needs Resolutions? Maybe we do, maybe we don't. Listen in and find out... Join the LMCTV Cast of characters as they give you the latest updates on Varsity Sports, The Local Live News and Programing at LMCTV. Rob give us the latest on the adventures of a 10 month old in "The Rosie Report." The cast also provides updates of local activities and things to look forward to in the Larchmont Mamaroneck Community. November 30, 2018 "Cell Phone Society"
Are we attached to our cell phones, is that a bad thing? Join the LMCTV Cast of characters as they give you the latest updates on Varsity Sports, The Local Live News and Programing at LMCTV. This edition brings the famous and demanded "Rosie Report, " Rob informs us on Rosie's newest adventure/ discovery. We ask the tough questions about bags. Do purses need to be redesigned so you can't lose your phone? The cast also lays down all the important happenings at LMCTV and in the Larchmont Mamaroneck Community. November 9, 2018 "Federal Assault on Local Media…"
Join the LMCTV Cast of characters as they give you the latest updates on Varsity Sports, The Local Live News and Programing at LMCTV. This edition concerns news equipment, live coverage and most importantly, a proposed Rule, by the FCC, seeks to redefine and place a value on cable franchise obligations that have been traditionally defined as “In-Kind.” This change could be devastating for Public Access and Media Centers Nationally! October 19, 2018 "Favorite Halloween Movies"
Join the LMCTV Cast of characters as they give you the latest updates on Varsity Sports, The Local Live News and Programing at LMCTV, as well as their picks for top 5 Halloween movies. Each staff member offers something different and fun! September 28, 2018 "Production Tips"
Welcome to the LMCTV media Center's first podcast Hosted by Executive Director Matt Sullivan with Staff Members, Rob Moretti, Sibylla Chiapziwa, Sharon Mosley, Dena Schumacher and Stephen Aluisa. Find out what is happening at LMCTV, as well as the Larchmont Mamaroneck Community and what's new in media!